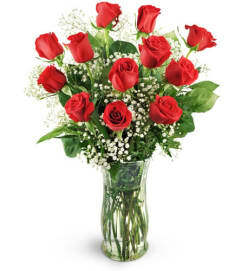 Our most popular Valentine's Combo.24 beautiful roses arranged in a vase with baby's breath and greens. 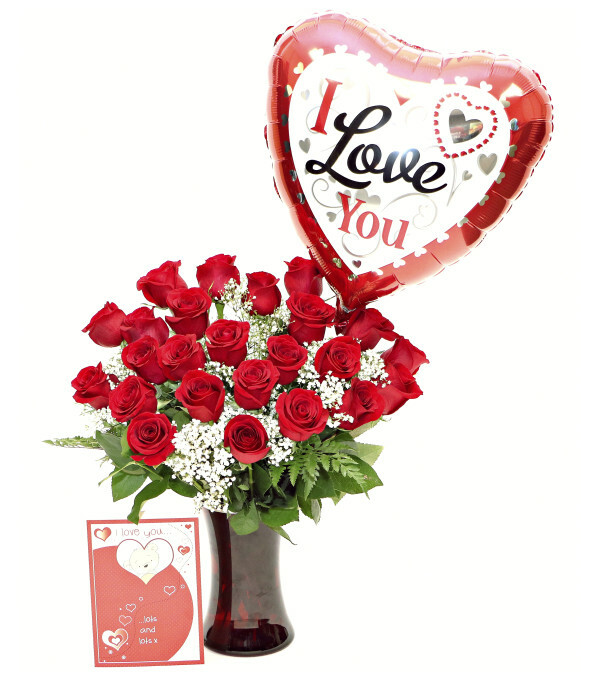 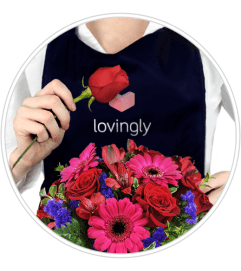 Complete with a balloon, and a card.Perfect for the one you love.Please note this item is only available for delivery in London, St. Thomas, Strathroy, Stratford, Brantford, Oakville, Burlington, Mississauga and the GTA. If this item is unavailable in your delivery area we will be in touch.